The amount of consumer data generated for business owners is increasing on an hourly basis, literally. Without the proper tools to handle all these customer information, decision making, forecasting and the purchase and sales process become a great pain point in terms of efficiency. While satisfied customers are any business’ most valuable asset, how can you successfully address information challenges while at the same time building profitable customer relationships? To get a handle on these issues, most business will purchase Customer Relationship Management (CRM) and Enterprise Resource Planning (ERP) software separately. The CRM is for dealing with the front-end part of the business like sales tracking, prospecting, recording customer interactions, pipeline management and creating or evaluating marketing campaigns. 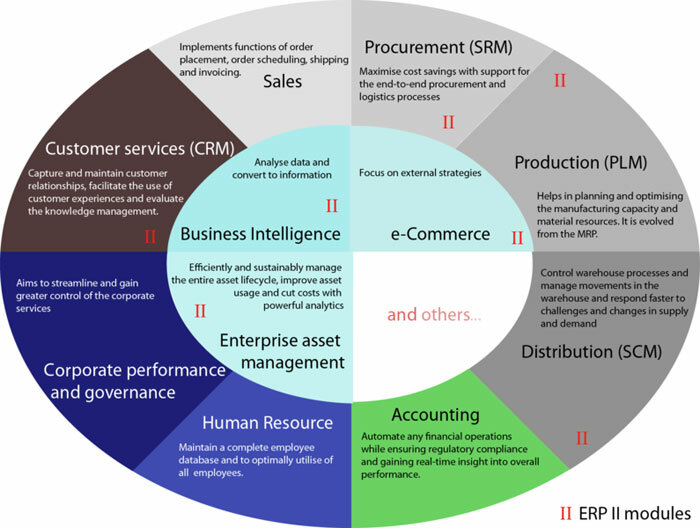 ERP software is for handling back end operations such as billing and shipping, purchasing, accounting, supply chain management, and financial data. Having separate systems may seem like a manageable way of running your businesses, but integrating them into a single unit will help streamline your business processes while boosting productivity. Implementing ERP systems in a business increases order-to-shipment times by about 23% and increases inventory accuracy by about 97%. Since satisfied customers are your most valuable asset, imagine what a unified system that includes a CRM, ERP and a virtual phone system would do for your business. How well do you know and understand your customers? The biggest advantage of a unified system is that it provides you with a 360 degree of who your customers are. From support and sales, to accounting and finance, the system helps you get complete visibility of your customer order history, buying patterns and general requirements. Not only does this offer you a better insight into your most valuable asset, but it also offers you a chance to build lasting relationships that will help you identify future opportunities. Consistently tracking your data offers you better reporting and analytics. This means you can easily see any changes in customer loyalty, profitability and preferences, allowing you to respond quickly. Without a fully integrated system, there is always the risk that your employees will become less efficient, and your customer pays the ultimate price. For example, if a customer wants to get an order status update, your employee shouldn’t have to crawl through numerous systems to get the information, this could easily result in a negative customer experience, translating to loss of business. An integrated system offers your customer service representative the access to critical information in real time. At the push of a button, the representative is able to view the customer’s call history, payments, financials, shipments and more. When a CRM proposal generates an order in your ERP software, switching between the systems and entering the data multiple times is not practical in the real business world. With software integration, a proposal generation results in an actual order under a single system; reducing the time spent on data management and increasing your business’ efficiency and productivity. In addition, your sales team will have greater visibility in terms of a customer’s order status and easy access that enables making changes faster. When the sales team is in the middle of a critical point in a customer’s journey, on-the-go access to customer information with product and pricing data can assist in closing deals much faster – your sales team requires up-to-date data during the interaction, and not afterwards. Integration between various business departments makes it easier to collaborate as well as streamline information flow. In addition, business managers will also have access to critical business transaction in real time, enabling them to make better-informed decisions.